UX Design Tool: UX Record - Learn What You App User Do! Home / UX Design Tool: UX Record – Learn What You App User Do! At Coteries, in our EPFL-based office, we are constantly looking to improve our processes. And to better understand users to deliver great User Experience (UX). We use several UX Design tools, and today we would like to present you a great one: UX Record. How about understanding your user behaviors and seeing exactly what they do once using your mobile app? UX Record is a relatively simple way to optimize both the User Experience (UX) and the User Interface (UI) of your mobile app! What is the primary duty of a UX Designer? Understanding the users and putting him/herself in the user’s shoes. Understanding and thinking like the users is the basic requirement to be able to deliver smooths user experiences. But you need to use some UX tools to help you in this process. Everybody tells about user-first, user-centric experience. But the reality is somehow, sometimes, different. You as a product owner think you know what’s best for the user. A real customer-centric strategy will make a big difference in the end product. No question about that! 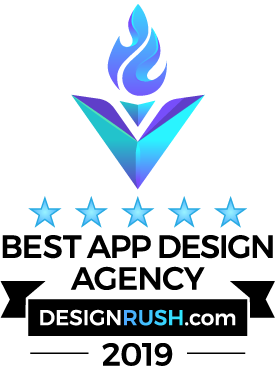 How could you test your designs, without having to meet physically dozen of people? Said differently, how can you industrialize your user experience design testing process? UX record is a tool to help you in this process. 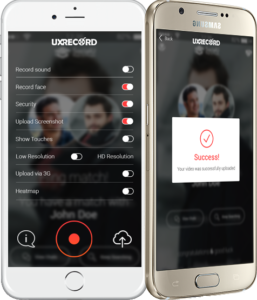 UX Record provides you a solid solution to record the face of your user while she is testing, for instance. Is that not great? Define several focus groups (not limited geographically), to start testing the different hypothesis and gathering real life feedback. Front-Facing Camera Recording: watch the first reaction of your users while they discover the app… and gather direct feedback! Heatmaps: analyse where the user spends most time, which areas of your app are the coldest… or the hottest! Overall, UX Record is an interesting tool for both staging or production status, for Android or iOS mobile apps. If you want to collect data and make informed decision, it’s definitely a tool to try out. Everyone in the mobile app development process can be involved: from UX/UI Designers to Developers, from Product Managers to Testers. UX Record is providing a collaborative dashboard, meaning that you can create an organization and invite all your colleagues in one account… so you have all your mobile apps there. Everything that can help to improve the User Experience (UX) is very appreciated at Coteries Lab. Even if UX Record is still in its early days, this is one of the UX tools we like! Why don’t you give it a try?